Well, thank goodness September is over. September was one of the hardest months in my life. My partner spent a good amount of time in hospital, and so I was incredibly stressed and run down. Somehow, I still managed to use up a fair amount of products. All the products I used up last month. Pretty good considering most of the time I was at my parent's house using their stuff, too! Self explanatory; this is pretty much in all of my empties. I rarely wore makeup last month but I was still ensuring to cleanse my face, especially after being in hospital all day as I felt very dirty and oily. Would I repurchase? Of course. Another self explanatory product. I kept these in my handbag for a refresher during the day, so I ended up using them very quickly. My partner was also using them. You can read my full review here. Would I repurchase? Already have; these are my favourites. I ended up having a fair few baths in September, and one of the bombs I used was the gorgeous Big Blue. This one is super refreshing and revitalising, so it definitely helped clear my head. Plus it smelt amazing. This one was heaven on my body acne, so I'm sad to see it go. It was a tad annoying to use it up as it is in bar form, which means when you get down to just a sliver it loses a lot of it's oomph. You can read my full review here. Would I repurchase? More than likely as this is fairly cost effective and worked well. This smelt beautiful in the jar, but once I lit it, it was pretty so-so. I supposed I wasn't expecting much for a candle that only cost $1.00. This also burnt up pretty quickly, so not the best quality either. Oh well. Would I repurchase? Nah, sorry. 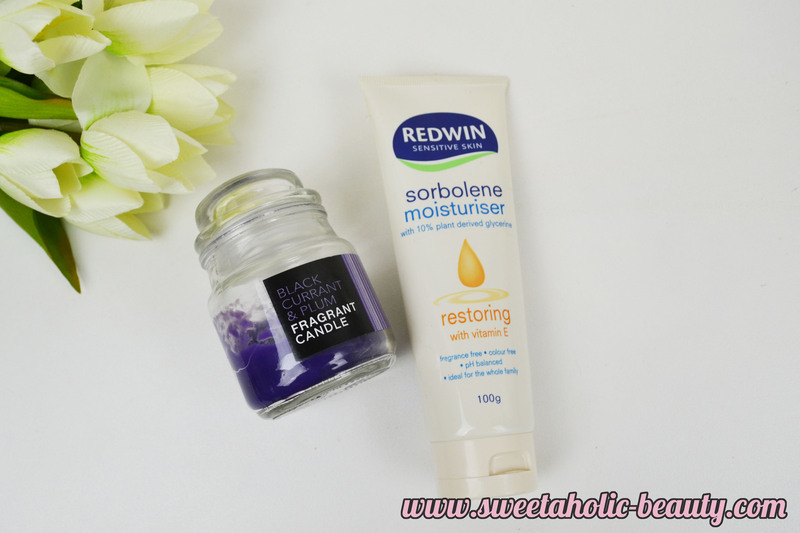 My all time favourite moisturiser for my hands, feet and legs. I need this and always will! This was only my handbag tube which I used up a lot as the hospital was very drying on my skin. Ahh this is has become a favourite of mine. I used this up early in the month, much to my sadness. I loved this, and already have it on my scope to repurchase. This is very gentle on the eyes and not at all greasy, meaning you can use it on other parts of the face too. My friend gave this to me last Christmas, and I've had it in my handbag ever since. 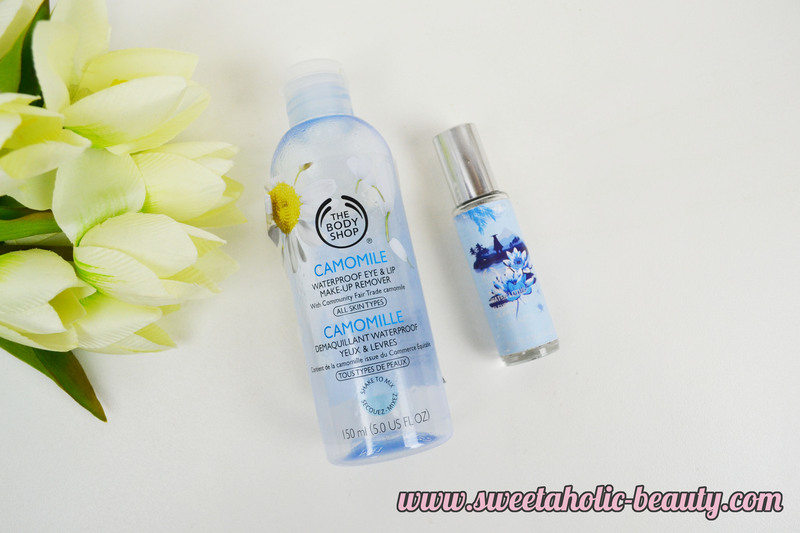 This is a very beautiful refreshing fragrance, and has become my go-to scent. The little bottle lasted all year, which means it's great value for money. Would I repurchase? I am considering grabbing a full sized bottle! Overall, I used up a fair amount of handbag essentials this month - probably as I wasn't at home a lot of the time. 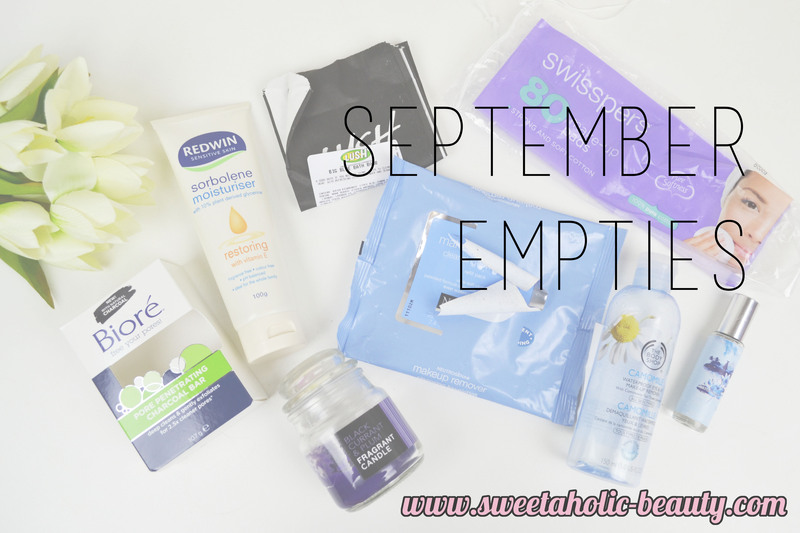 I'm trialling so many new products this month so I have a feeling my October Empties may be a bit.. well, empty. So apologies in advance! Have you used any of the above products? If so, what are your thoughts? 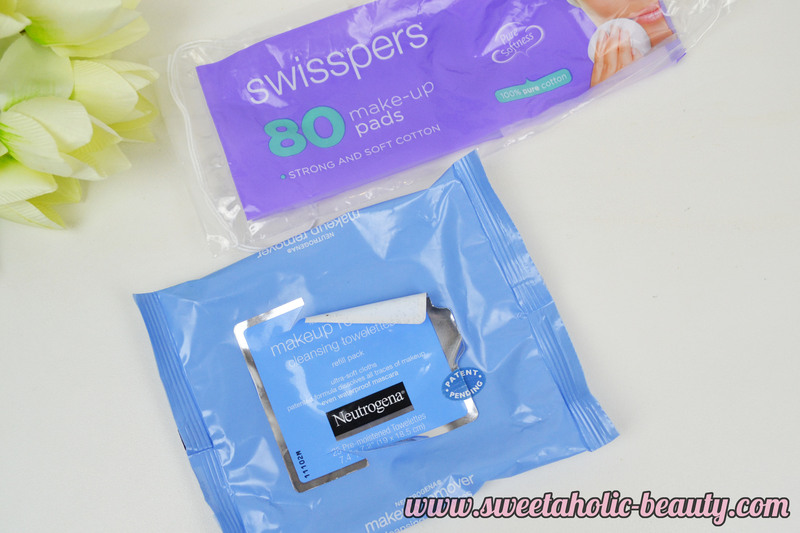 The Swisspers pads just don't do it for me! I'm so sorry you had a bad month - I sincerely hope things improve with your man's health. On the empties side of things I need to try that Body Shop remover cos I'm struggling with the one I have at the moment. I'm waking up with panda eyes literally every morning! I'm curious about The Body Shop Fijian Water Lotus Mist, What's the smells about? Is it more sweet or fruity or just fresh like a flower fresh? I never saw that in my local body shop but I'm not sure.. hemm I will go to check it soon. Thank you!